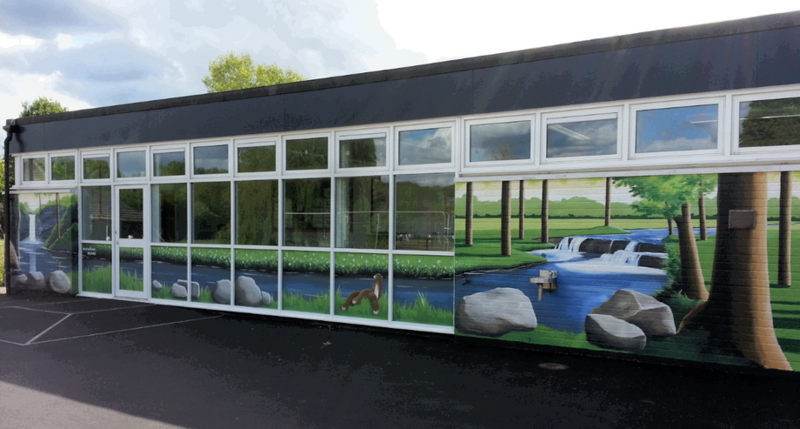 We recently painted a woodland mural at Ottershaw Infant School and this week we have been back to finish this one in the Junior School. This one is a little more grown up and the focus is on the two pupils walking through the trees towards the sunrise. Emily and Archie, who are standing in front of the painting, posed for me so I could paint them in the mural. This mural took five days to complete. 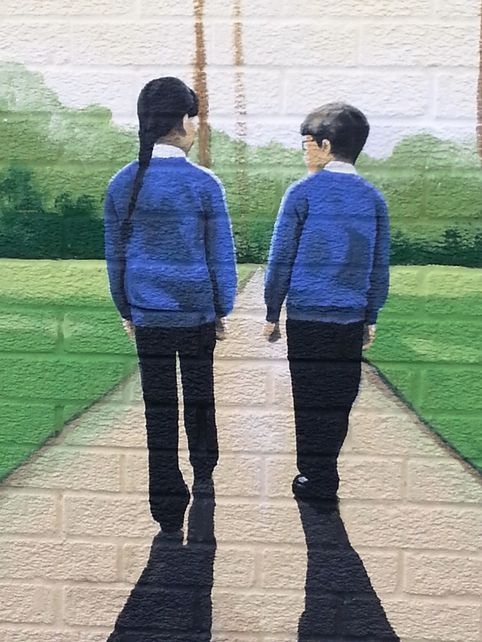 Here is the finer detail of the mural. 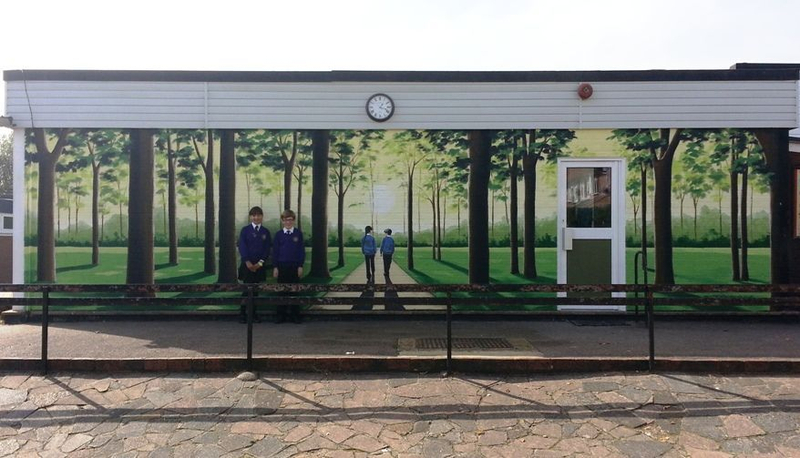 Ottershaw Junior School asked us back to paint a mural which would be an extension of the woodland scene that we painted for them last year. This was on a building next to the previous one and we continued the woodland theme but also added a river leading to a waterfall (to incorporate their drinking fountain) and a family of otters on the river bank. This took us five days to complete.